Tony Matthews spends his time in London's most notorious gambling dens, frittering away his fortune. But when his latest victory leaves a man ruined, Tony knows he's reached his lowest point. Determined to make amends, he returns home to his family's country estate with plans to settle down and marry at last. And he hopes the lovely Juliet Townsend will help him—if only he can keep his disgrace a secret. 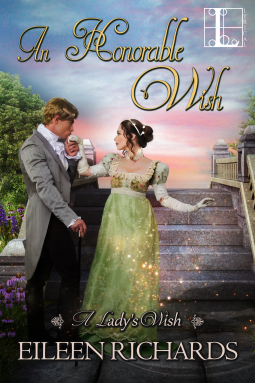 An enchanting sequel to An Unexpected Wish. In this installment we see the man Tony has grown up to be. He has given up his gambling and fast living in London to come home and settle down. He has also realised that he has feelings for Juliet. Their romance begins in a heady, blissful way but the path to true love rarely runs smoothly and the pair have to overcome personal fears, secrets, and lies to finally come full circle to love, forgive and trust in each other.